So, here's the disclaimer that goes with this post. All the opinions in this post are my own, and I, in no way, intend to hurt anybody's emotions or thoughts. Now that I have gotten that out the way, let's get to it. Recently I have been very saddened by all that has been going on in this world. There are so many problems going on, all of which are important, but one conflict has particularly caught my attention - the Palestine/Israeli conflict. I recently had two statuses on my Facebook that garnered unexpected attention from my friends, and I thought I should share it with the general public. You know what's worse than the genocide that's going on right now? People all over my newsfeed saying how the Israelis should be targeted and wiped out. DO NOT TURN INTO THE VERY THING YOU GUYS HATE. Let's not forget that several Israelis had died on the accord of Hamas too. Instead of preaching for a vengeful end, preach for peace and the safety of all those affected on both sides. Politicians think they can wage war to solve all problems but they do not realize that the ones affected by all this violence are the innocent. Like I've said before, the only thing that we all should be standing against are acts against humanity, and in this realm of humanity, there is no discrimination of race, gender, religion, culture or ethnicity. If we are all going to support something it should be the eradication of violence to solve petty political issues. For the sake of humanity, stop with all the blaming and support all the causes trying to provide safety for all those who are suffering in the crossfire. If we continue to resolve such issues with the motto "an eye for an eye", nothing will ever change and peace will be something that exists in the unknown. I am so tired of hearing about the Israeli/Palestine conflict. You would think that after the majority of the world's population demanding for peace, things would change. But no, that's not happening. I have friends who are Israeli Jewish and several friends who are Muslim. This is not the time to "choose a side" in terms of a type of people. The only side that should be supported is that of humanity. No one else should die, whether you are Palestinian or Israeli. Before religion and nationalities, we are all human. So for that reason alone, I, Shipra Sharma whole-heartedly #SupportGaza. I pray not only for peace and safety for the Palestinians, but for the Israelis as well. This conflict has been going on for way too long, and it is about time that both communities begin living without fear of dying. Ethnic cleansing and genocide are acts against humanity and those who have used this as a political weapon will one day have to answer to God, and they will be punished. When will it stop? People are so blinded by one side that they refuse to see the bigger picture. Think about it this way. The people that are being targeted and "wiped out" are human, just like you and me. The pain we feel when we are hurt is the same pain they will feel. The solution to this problem does not lie in causing that same pain to the ones that have hurt you. I have personally seen people support one side and shun the other. Why? That is absolutely the worst solution to this controversy. The human population needs to stand together and prevent such atrocities from becoming a norm. Violence has never been nor will it ever be a solution to any worldly conflict. Whether the people in this conflict are Israeli or Palestinian, Muslim or Jewish, male or female, they are innocent bystanders in the warfare raged by corruption by the hands of immoral souls. If this keeps on going on, the end of the world is inevitable. I would one day like to raise my kids in a world where they are not told to judge and hate others because they are different. As cliche and far - fetched as this may sound, I want the world to be a place where everyone gets along and accepts and respects each others' differences. I know my Bhagwanji never dictated harming innocence in order to get what you want, and I am sure that every other religion follows this same belief. Then why are people hurting others in the name of religion and culture? Political and religious leaders, who are at the epicenter of this category 6 catastrophe, have clearly misinterpreted their ideals and are using them to promote false religious and cultural ideas. Take aside all the violence, and let me direct a question to my Palestinian friends who despise the Israelis, and my Israeli friends who despise the Palestinians. Why exactly do you guys hate each other and refuse to coexist peacefully? Because they don't have the same faith as you? Because they wear a different type of attire than you do? Why? I really do not comprehend all this hatred. It is so sad that we live in a type of society that puts down others who are different, and the root of this problem are the societal leaders that promote this absurdity of "if you're different, you're wrong." We blindly trust such people because in our eyes they are messengers of God, experts of the world, controllers of all worldly situations. While we put all our trust in such individuals, we often forget that these people are not God. They are humans like you and me, and do not have immunity from flaws and mistakes. I'm in no way saying every religious or political leader is corrupt, but when such conflicts arise, the majority of the time these leaders are the ones causing this destruction and despair. If we are to hate any group of people, hate those who manipulate the general population and brainwash people into believing skewed ideologies. I don't about you all, but I would like to be lead by people who are morally aware and responsible, and not selfish and immature. 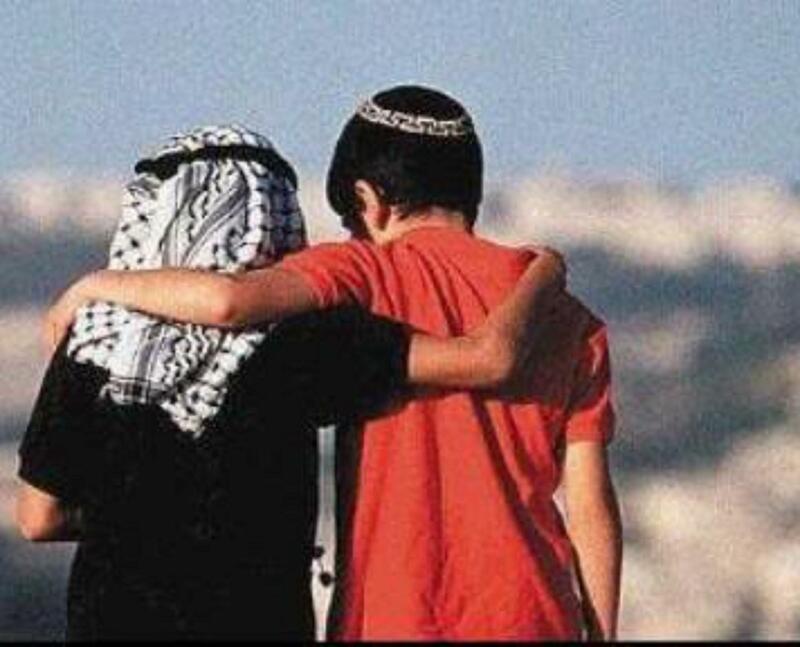 Do not hate someone because they are Palestinian or Israeli, Muslim or Jewish. Realize that the only ones suffering because of this power struggle between politicians are the innocent who have not harmed anybody. So, for the sake of humanity, raise awareness of peace, understanding, acceptance, and a rejection of violence. This is especially important at this time of international chaos. I beg anybody who reads this to instead of spreading awareness of peace with the hashtags of #SupportGaza or #SupportIsrael or #SupportPalestine, use the hashtags #SupportHumanity and #SupportPeace. Hate and violence are not solutions to any of these conflicts. Join this movement of protecting humanity because when we all raise our voices against such violent and immoral acts, we will see change. On this holy day of Eid, I hope everyone can look to themselves and extract all thoughts of hatred, violence, resentment and nonacceptance of those who are different than you. I hope, that today out of all the other days, everyone prays for the poor innocent souls on both sides affected by this madness. Pray for the safety of the Palestinians and the Israelis. That is what God wants. That is what he has put us on the Earth to promote - PEACE AND UNDERSTANDING. Eid mubarak to all those who celebrate!